This classic Blue Crab is a hit with all our coastal lovers. We have sold it to customers from Maryland to the coast of Texas. The design is hand stitched in petit point. 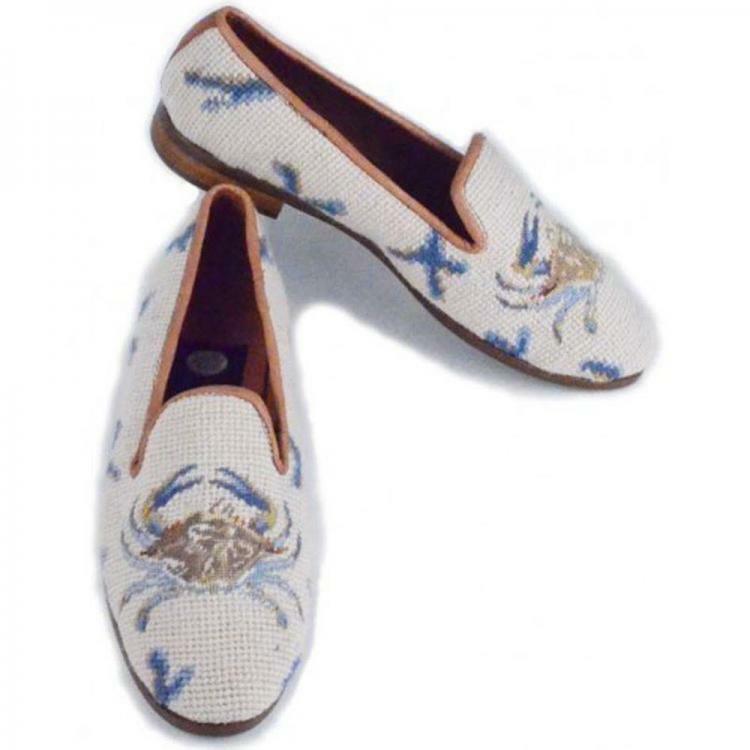 These needlepoint shoes are fully lined with soft kid leather, have a half inch heel and composition sole.